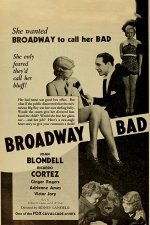 With plenty of legs, lingerie, and even a few smacks on the behind, there is plenty of eye candy 1933-style early on in this movie, and it's clearly pre-code. 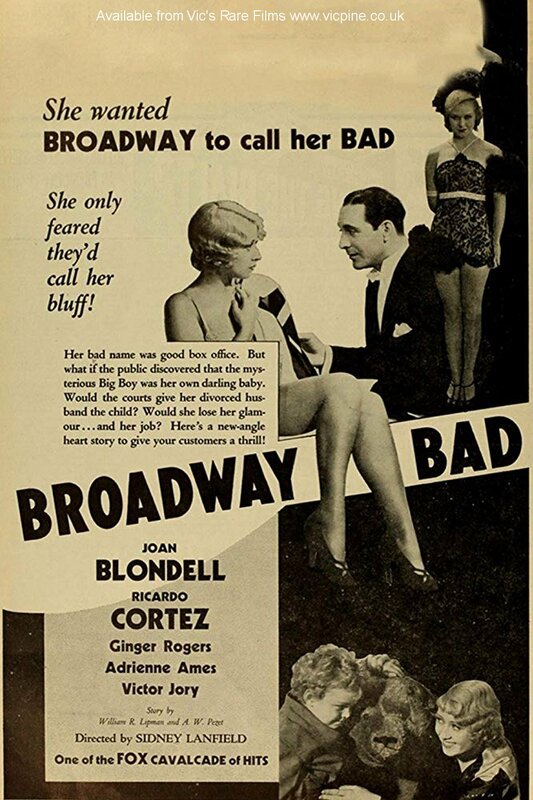 Joan Blondell plays an up-and-coming chorus girl with a complicated love life, being secretly married and having male admirers. Her glowering husband, played well in increasingly dark tones by Allen Vincent, is led to believe she has a lover, and leaves her. The notoriety in the press helps fuel her rise to the top, and as years go by, she's famous while he finds himself in debt.